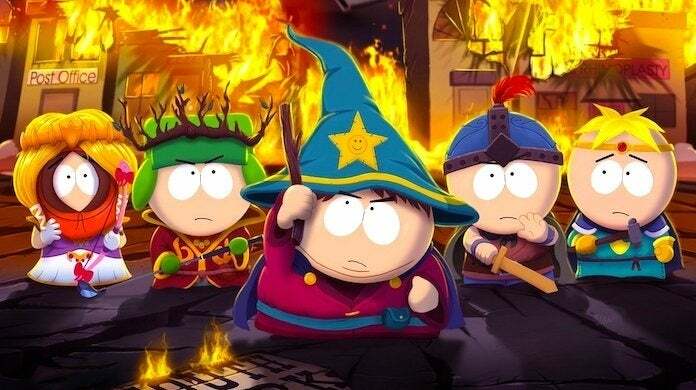 For a limited time, Ubisoft's South Park: The Stick of Truth is only $15 on Nintendo Switch, a great bargain for the role-playing game that released back in 2014, but still holds up extremly well, mostly thanks to the fact that's basically just an interactive season of South Park with strategic turn-based combat. Meanwhile, the new South Park adventure -- South Park: The Fractured But Whole -- is also currently on sale via the Nintendo Switch eShop, though since it's newer it costs a little bit more. However, you can't do much better for $24 on the Switch, which is a pretty great price considering it released just back in 2017. You can find the listing here. If you haven't played either of the two games, they are pretty similar, and must-plays for fans of South Park. The biggest difference between the two is the themes: Stick of Truth features kids role-playing as fantasy RPG tropes, while in The Fractured But Whole the gang are superheroes. The other big difference is the combat. The latter features a more robust turn-based combat system that emphasizes strategy and planning a lot more than the former, which is more simple and easy to master. Beyond this, the games are pretty similar. There's all of the classic South Park characters and humor, a lot of callbacks, the freedom to explore the town and search for collectibles, and of course the ability to wield powerful and otherwordly farts. "South Park: The Stick of Truth proved that, despite all the delays, a good game in the series could be made, with the right team on board. But The Fractured But Whole goes the extra mile, playing around with themes, improving on the presentation, adding worthwhile components to the gameplay and just plain having fun with everything. It doesn’t hold back either, which makes it an even more devoted South Park product. "Those that aren’t fans of the show can safely skip this adventure, but if you know and appreciate what Trey and Matt are doing – or you just want to see Cartman explain the horrors of a true origin story (while Butters hams it up, of course) – then The Fractured But Whole is a must-have."